←Your Questions Answered + A Sneak Peek of How to Be Everything! I received the sweetest email last night from a clerk at a bookstore in Canada who had randomly picked up my book and found himself (in his words) enthralled. It was the best note to receive after a long day’s drive from BC to Portland for my book launch at Powells Bookstore. Especially since I’m feeling mighty nervous (but excited!!) right now. 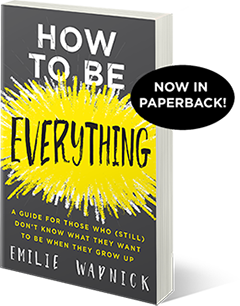 How to Be Everything comes out tomorrow and I couldn’t be prouder to share this book with you. My aim was to make HTBE, not just inspiring, but incredibly practical. It contains dozens of examples, case studies and exercises to help you apply the lessons to your unique mix of passions and skills. 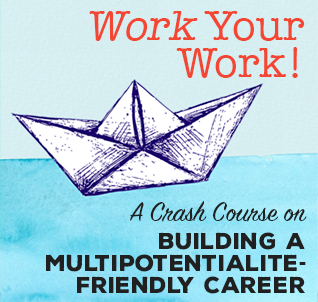 It will help you, not just embrace your multipotentiality, but making a living at the same time. If you haven’t already pre-ordered the book, today is your last chance to get access to the bonus interviews and q&a webinar. You can learn all about it here. And if you have already ordered the book, thank you! I hope you love it and find it really, really helpful. p.s. This is a big moment for our community. 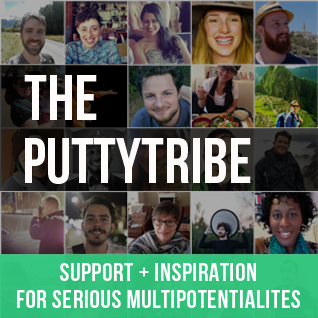 It’s time for the word “multipotentialite” to enter the popular lexicon. Woo! MULTIPODS UNITE!!! I am new to this multipotentialite concept, i am starting to fall in depression realising I can’t get one thing done or choose my next career step. I’ve recently had a major health issue and I was still more worried about my career choice rather than getting healthier. It’s already so hard to find a job out there, I am still lucky to still have a job for now (although my boss already told me to start looking for other opportunities), but my problem is I do not know where to focus my efforts. I am told by people around me that I am smart, knows it all, that I just need to make a decision what to do with my life. But I feel utterly useless, can’t finish a thing, despite having lots of entrepreneurial ideas. I am scared I will end up jobless, or on low paying job. 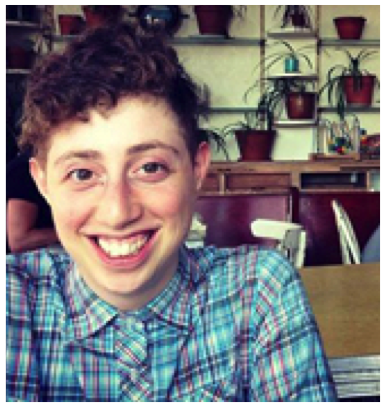 Being accomplished professionally is important for me as I’ve been fighting and learning all my life so far ( I am 31), but now I am feeling completely stupid and directionless. Will your book cover my issues, how to pick my career, where to focus my efforts, and how to maintain that focus without losing interest for various reasons, boredom or because it gets too hard? It sounds like you’re riddled with fear right now, and that’s understandable. It sounds like things have been really rocky lately. Sorry to hear about your health challenges. My book will help you organize your ideas/passions/projects and conceptualize some possible career paths. 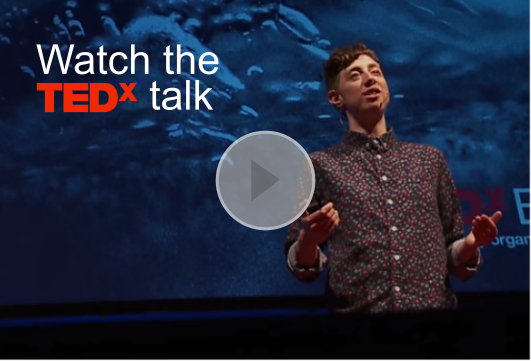 It’ll give you a sense of what other multipotentialites are doing to get the money, meaning, and variety they require into their lives and it’ll walk you through a number of exercises to help you apply these concepts in your life. There’s also stuff in there about boredom, knowing when to move on and when to stick it out, etc. If you had all the money, resources and everything you want, what would you like to do? I believe that if you answer this question being serious, and honest you’ll find something worth pursuing. Maybe your answer will not sound like a career, but think about it; there are people who make a lot of money to drive fast car (race drivers, car testers…) there are people that get paid a lot of money to pretend that they are someone else and they are even called celebrities (actors) haha ( nothing agains actors by saying that the pretend to be someone else by the way) but do you know what I mean? Just found the email: at 01.01 a.m. this morning, I got the message that I can download HTBE to my kindle! I’m Jacopo from Rome and I’m a multipotentialite! I’d like to take your book but I’ve find it only in english. I can read in english but I prefer italian to better appreciate it. Will the book translate in the future? How to Be Everything WILL be translated into Italian. I’m not sure when it’ll be released though. The agreement said sometime in the next 15 months, so you might have to wait a little. I just stumbled upon an excerpt article from your book and I just want to say THANK YOU. I cannot wait to read this thing I had no idea I was looking for. I am thoroughly excited to add a little focus and drop a little guilt about all of my passions and pursuits. The girl working three very different jobs, serving on three very different boards while trying to finish school before she changes her major for the billionth time.